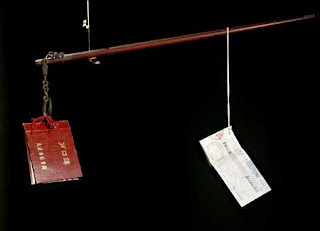 The Beijing hukou, or residence permit, is something Xiao Xi (pseudonym) has been striving to attain for nine years. To fulfill that aim, the 29-year-old from Tacheng, Xinjiang Uyghur Autonomous Region, enrolled in a Beijing-based university in 2002 to study Chinese Linguistics and Literature, then chose to further her studies two years after graduation. "I found a job after graduation, but it couldn't give me a Beijing hukou, so I wanted to get a master's degree, which would give priority for me to get it. But I did not expect the local government to give fewer Beijing hukou to non-native graduating students in recent years," Xiao Xi said to the Beijing-based China Economic Weekly. In May, media reported that the Beijing government would only offer 6,000 hukou – two-thirds fewer than last year's 18,000 – to non-native college graduates in 2011, the China Economic Weekly reported. An official from the Haidian District Human Resources and Social Security Bureau (HRSSB) in Beijing said that overseas returnees, doctorate and master's students would have preference in getting a hukou. On hearing this, Xiao Xi was initially happy that she had chosen to do a master's degree, but the official's words brought her back to harsh reality. The official said that Beijing's college graduates would reach 229,000 this year, which meant only one-40th of them would get the 6,000 hukou, according to Beijing-based media. The central government has sought to bring in 2,000 overseas elites since 2008. Most of them chose to stay in Beijing, and their family members were given a Beijing hukou. That is one reason why students who graduated from Beijing-based universities will now get a smaller share of the hukou available, the official told China Economic Weekly. "The local government usually gives a certain number of Beijing hukou to State-owned enterprise, administrative institutions and high-tech companies, while private enterprises hardly get any," said an anonymous staff member with the Haidian District HRSSB. "Besides, most enterprises tend to recruit students who have majored in science and engineering, so students majoring in arts and literature are less likely to get a hukou." In fact, State-owned enterprises can get a 70 percent share of the hukou that are distributed by the government, and if they are not all given out, the remaining hukou are usually sold to graduate students for exorbitant prices, China Economic Weekly reported. As the government does not have enough workers to supervise all the State-owned enterprises, this practice is hard to control, according to the staff member at the Haidian District HRSSB. "If you are a student majoring in science and engineering, you can get a Beijing hukou from me only if you pay me 150,000 yuan ($24,000). But I can't offer you one if you are a student majoring in arts and literature," according to Lin, a staff member with a Beijing-based State-owned enterprise, who posted an advertisement on a university website this March offering Beijing hukou to graduate students. Lin said that his company has many leftover hukou every year, which it sells to graduates for extra money. "There were so many students fighting over the hukou and most of them were sold out this year," Lin told the Global Times. According to Lin, the students can get a hukou seven months after paying the money and offering graduation certificates. "You don't have to worry about being caught after you get a hukou from us because your personal files will be kept in our company for one year in case the government checks, but during that time you can freely work for other companies," Lin explained to the Global Times. "This is why we charge so much, because we can guarantee you a 'safe' hukou." The hukou offered by State-owned enterprises is in great demand by many students looking for both a Beijing hukou and a high-paying job. "State-owned companies can offer you a hukou but can't give you a high salary. Private companies might give you a high salary but can't offer you a hukou, so I think buying a hukou from a State-owned company and finding a job in a private company might solve both these problems," Shan Shan (pseudonym), 26, a graduate student working in a Beijing-based foreign company, told the Global Times. However, Pan Fan, 25, a worker with a Beijing-based advertising company, may not agree. "I paid around 100,000 yuan ($15,000) to a man who claimed to work in a State-owned company that could provide a hukou for me, but he disappeared without giving me a hukou," Pan told the Global Times. "I did not report it to the police because I thought it was also illegal to buy a hukou, so I had to let the money go." The staff member at the Haidian District HRSSB said that swindlers are common in this industry. Some people even offer fake hukou to the students, China Economic Weekly reported. "The Beijing hukou is so popular because it offers not just documentation for non-native students, but also provides extra conveniences for their lives. For example, they can enjoy preferential policies when buying a house or car," Xia Xueluan, a sociology professor at Peking University, told the Global Times. He added that sales of hukou by State-owned enterprises show the irrationality of their economic structures. "Some State-owned companies perform poorly and face closure, but still they do not emphasize technological development, and instead try to earn profits through selling hukou, which shows the irrationality of their economic structures," Xia told the Global Times.